Our home waters are in English Bay where we have been racing our Cals for over 50 years! We are building the fleet! We are actively seeking to build the fleet and are able to help anyone wishing to get into racing Cal 20’s. We can assist you in acquiring a Cal 20 as well as assist in rigging, boat preparation and learning the Racing Rules of Sailing. 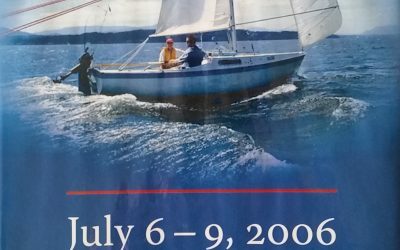 Our major event for racing is the Janet Stamper Memorial Regatta that takes place as a two part series. Spring and Fall. Check out our favourite nautical links. Loads of helpful and life saving information at your fingertips! Our biggest event of the year is the Janet Stamper Memorial Regatta. This racing event takes place as a two part series – Spring and Fall. The series consists of 5 race days per series and 4 – 5 races per day! 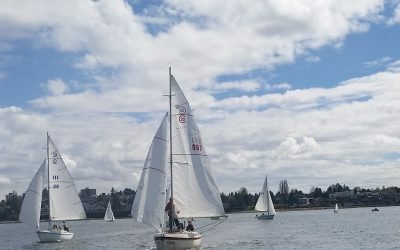 The annual Canadian Championships are held in Vancouver at The Kitsilano Yacht Club and in Victoria hosted by Fleet 13 at The Royal Victoria Yacht Club.